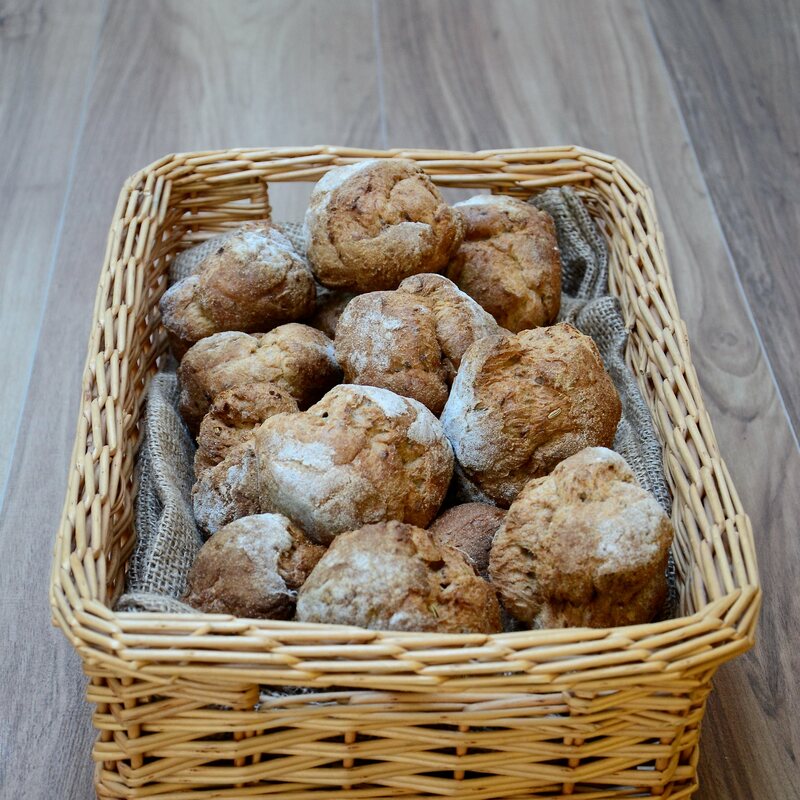 A box of our gluten free sourdough bread rolls (e75g each). All our bread can be frozen. All bread is hand made to order, so please allow 3 days for your order. Your bread is baked and posted the same day, for next day delivery. Simply the best loaf of Gluten Free bread, sadly a bit small though!! Oh, these are wonderful. Every other GF bagel or bread I've tried has either been so light it felt like I was chewing air; so dense they dried my mouth out as I chewed, and some developed a really nasty vinegary smell and taste after the pack had been open for a day. I ordered 16 Gluten Free Artisan Sourdough Mixed Rolls, to try and found them to very tasty and a good of flavours and breads. Will be making another order very soon. Sooo delicious and tasty and most of all healthy! Such a refreshing change to be able to eat a healthy gluten free bagel. These rolls save my life! Having discovered last year I was intolerant to yeast I thought my bread days were over! But thankfully this range is amazing. They taste great, keep for ages in the freezer, and 10 minutes in the oven and they're super soft. Delicious! No nasty ingredients! Lovely toasted with hummus. This product is dispatched by Rana's Artisan Bakery. Please note: this item has special delivery requirements so £1.00 is added to the delivery charges indicated below. Gluten free artisan sourdough breads and bread mixes.